“Of course it would be folly to argue that the people cannot make political mistakes. They can and do make grave mistakes. They know it, they pay the penalty, but compared with the mistakes which have been made by every kind of autocracy they are unimportant” — Calvin Coolidge, quoted from Adequate Brevity, p.76. The people do make mistakes in the selection of their leaders. Elections cast the longest shadows, it seems, when bad decisions are made. We are still groping to calculate the costs of the 2008 election, not to mention the two which have occurred since that time. No political persuasion can seriously deny the fact that elections have real and enduring consequences. It is what Coolidge is saying, in his inimitable way, between the lines that speak volumes. 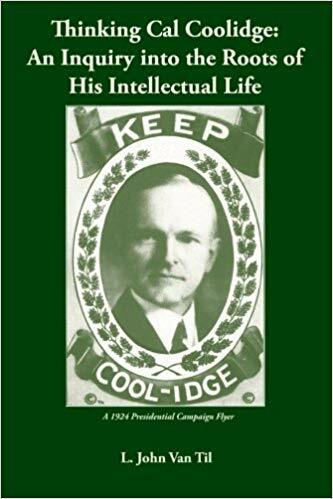 Coolidge would observe on other occasions that if self-seeking, unfit and complacent representation exists in Washington it is because those same vices reside in the voters who put them in office. The voter who never takes the time to learn the substance of the candidate will find the politician never takes the time to responsibly represent that voter. 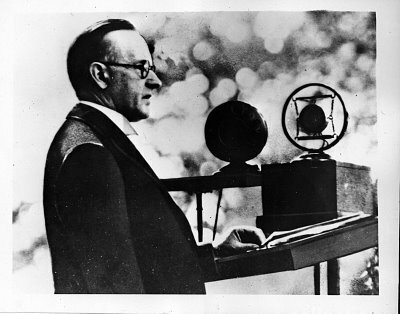 Still, Coolidge was no cynic, even when it came to politics. He saw the fundamental difference between the conscientious and the careless to come down to one key ingredient: does the officeholder trust the people he represents? Trust is not the blind suspension of one’s judgment. Coolidge would remark on another occasion, “This does not mean that the opinion of constituents is to be ignored. It is to be weighed most carefully, for the representative must represent.” What the people “think determines every question of civilization.” Yet the officeholder has a more sacred obligation to uphold his oath. Constituents can be wrong. They can demand things they should not have. The commitment to keep faithfully to the Constitution and the laws compel him or her with a force outmatching even the most respectable opinion against it. This conscientious struggle to honor their oaths is not the dilemma in Washington. Theirs is a grave listening problem. Trust is more than a regard or respect for the people one represents. It has nothing to do with personalities. The condescending arrogance of far too many officeholders seem to block out an honest view of problem. It has everything to do with distrust of liberty. It means nothing to convene a town hall meeting without an unwavering faith in what America is. To do otherwise is form without substance, cover truth with an attractive lie. Trust demands loyalty to as well as confidence in the republican design of our system. It is more than carefully-timed expressions of courage to be dispensed with when the time to fight on principle comes. Coolidge is saying the autocrat does not know he is wrong. He never detects the gravity of his errors because he never experiences the price for them. He is never wrong. Numbed to reality, he is desensitized to the pain of his own actions. He knows better than the governed. His judgment is superior to the wisdom and political sense of the people or their institutions. He continually doubts the ability of the people to govern themselves, exercising their liberties responsibly. He must do it for them. It is too dangerous a world without him or her. They need him to furnish security, stability and surety from the hazards and risks of an unrestrained mob. If his objectives fall short, it is because the people are too stupid to know what is good for them in his or her superior judgment. They failed the autocrat, not he them. Such is the road to serfdom, as Frederick von Hayek coined it. Such is the way to train the people for the yoke. 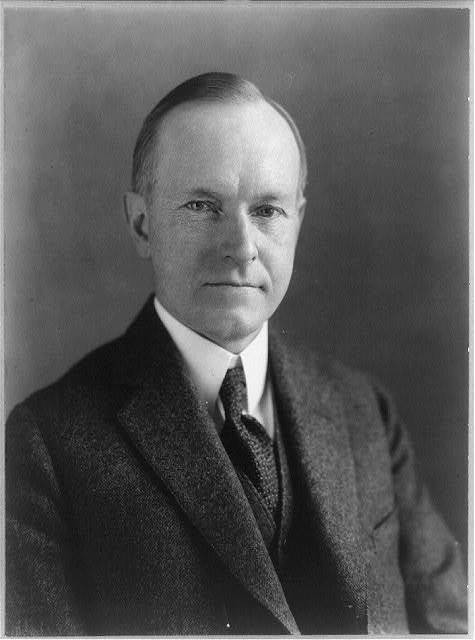 Coolidge, fully aware that “[a] large part of the history of free institutions is the history of the people struggling to emancipate themselves from unrestricted legislation,” kept an abiding faith in the people to know far better than any autocrat what was best for them. He kept his confidence unshaken that the people are justified with the freedom of making their own choices and will ultimately make the right determination. They would make mistakes, personally and politically, but never learn the surpassing worth of liberty if insulated from not only its risks but also its rewards. Through permanently-affixed training wheels, autocratic authority demands both the eradication of opportunity and the removal of distinctions in order to preserve power. Not even the most foolish mistake by the people could compare with the trail of devastation realized throughout history when a conceited and self-deluded autocracy is at helm.